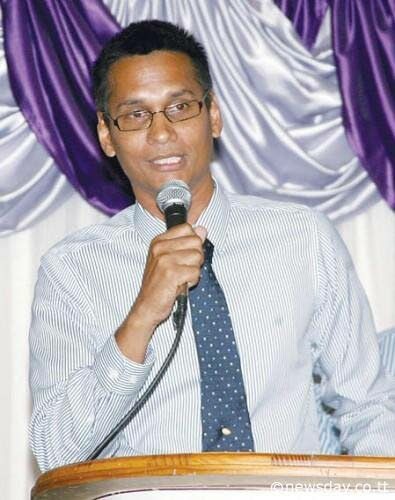 President of the TT Unified Teachers Association (TTUTA) Lynsley Doodhai yesterday criticised parents for what he described as a lapse in parenting roles and responsibilities. He made the comment while speaking on video footage showing students bullying and beating their peers at the Siparia West Secondary school last week. Doodhai echoed the sentiments of Education Minister Anthony Garcia and said that such behaviour should not be tolerated. Doodhai said parents ought to take on greater responsibility for their children and criticised what he described as a lapse in parenting and a breakdown in communication between parents and teachers. He added that he has received numerous complaints from teachers at the school leading up to the surfacing of the videos online and said that concerns of security and discipline were just few of the issues raised by the teachers. “There must be some kind of dialogue between the teachers and the parents when it comes to the behaviours of their children in school, after all these children are only in school for roughly eight hours a day. It almost seems like parents have fallen down on their parenting,” he said. Doodhai confirmed that TTUTA has received complaints from teachers at Siparia West on concerns regarding a lack of discipline at the school. Reply to "TTUTA Head: Parents only lapsing"